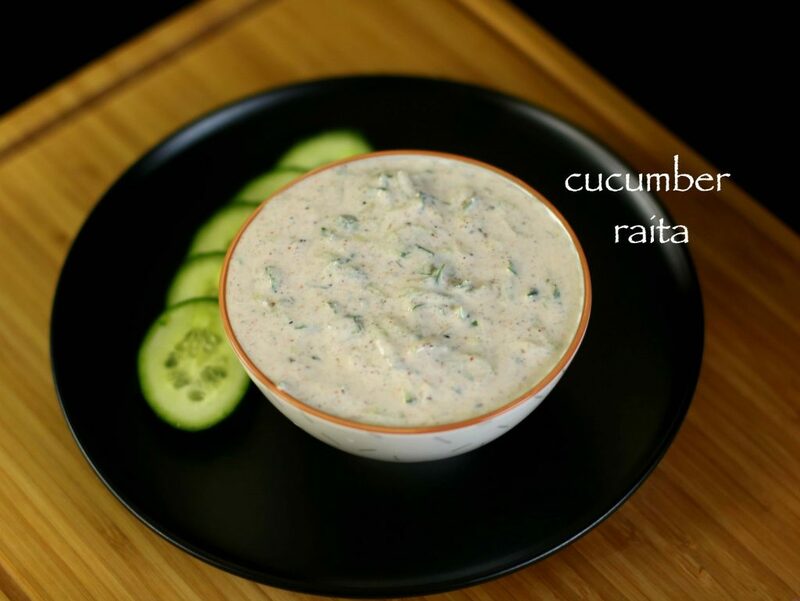 cucumber raita recipe | kheera raita recipe with detailed photo and video recipe. basically a indian cucumber yogurt dip which is typically served with spicy indian rice recipes or paratha recipes. it is usually served during summer to counter the heat. 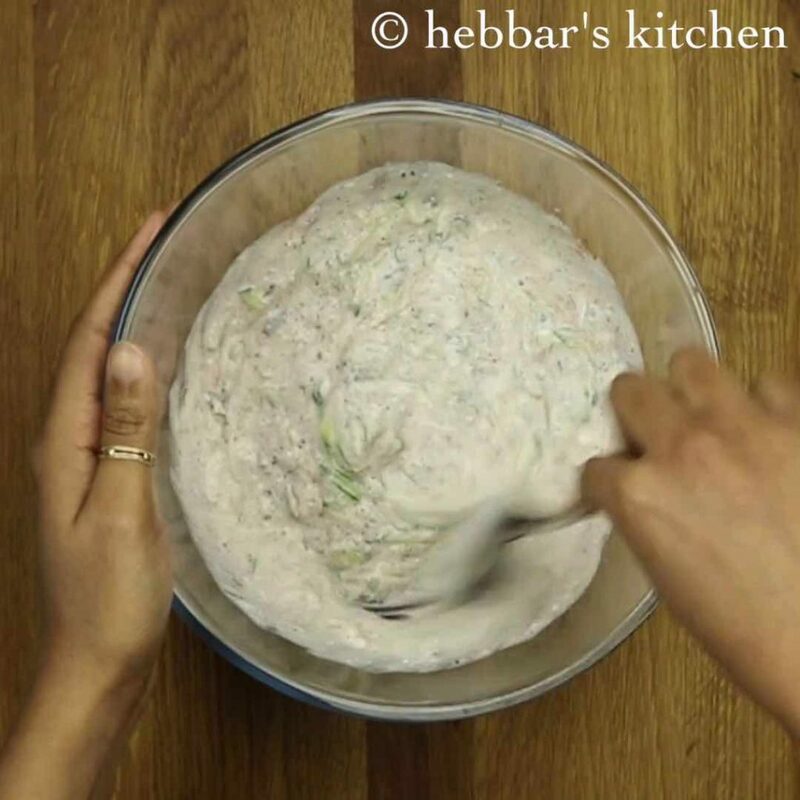 cucumber raita recipe | kheera raita recipe with step by step photo and video recipe. 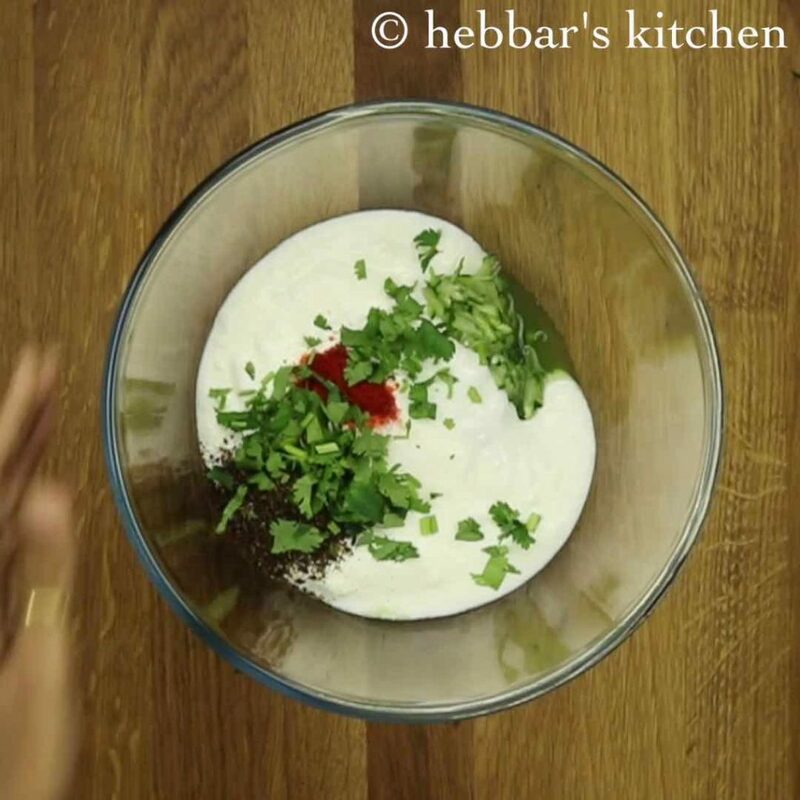 a healthy curd salad recipe prepared with grated cucumber, roasted jeera powder and mixed together with yogurt. it is served as accompaniment to pulav recipes or biryani recipes, to reduce and beat the heat of spices. while i am not a huge fan of raita recipes, but it is must recipe for my husband. especially whenever i prepare pulav recipes or biryani recipes,, raita is always on the menu. he even loves to mix raita recipe with plain steamed rice to make it as curd rice. well, it has become an easy option for me. whenever i feel bored to prepare any curries, i just prepare cucumber raita, and our lunch/dinner is ready. furthermore, there are several health benefits of kheera raita recipe. initially, cucumber plus yogurt is good medicine for indigestion and constipation. secondly, cucumber is abundant with water and is good source of vitamin c. moreover it is also a good source of fibre which also helps in constipation. lastly, the roasted cumin seeds which is added is good source of iron and helps to release pancreatic juice which improves digestion. 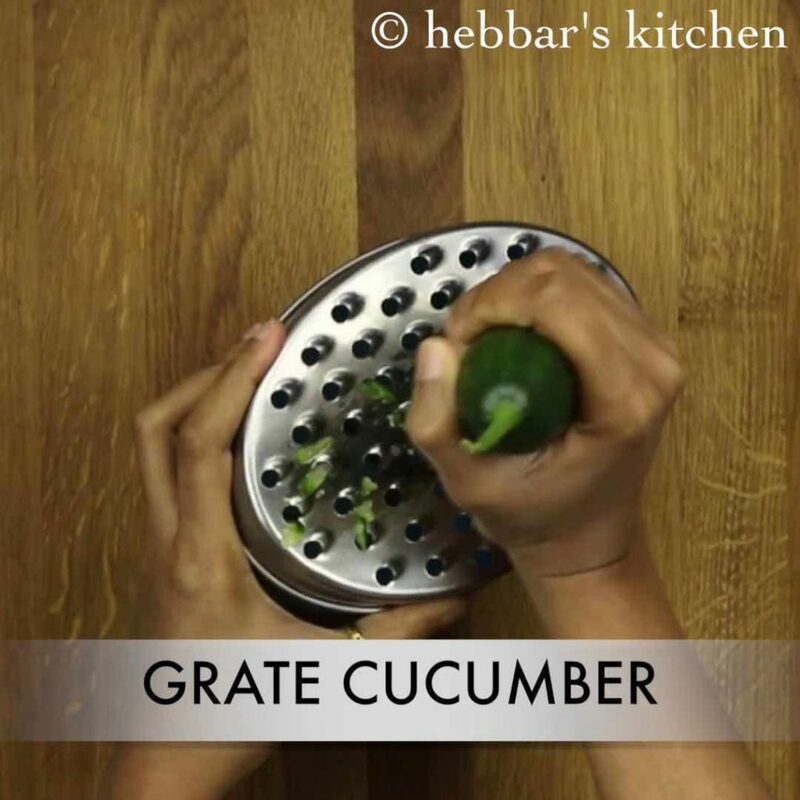 firstly, grate the cucumber. if the cucumber is bitter then peel off the skin. 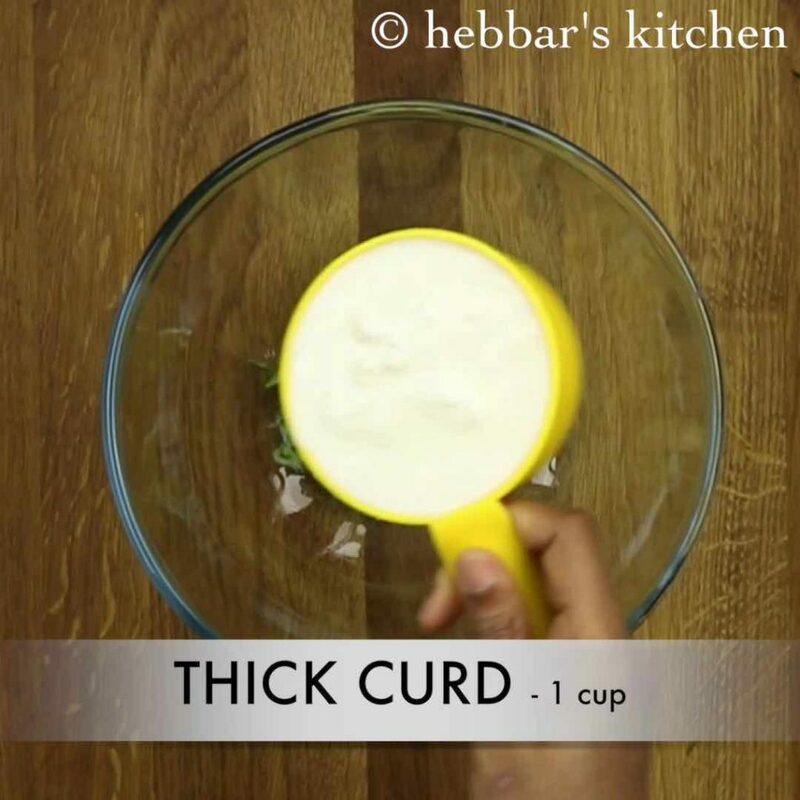 furthermore, add 1 cup whisked curd. also add chilli powder, roasted cumin powder, salt and coriander leaves. give a good mix making sure the spices are mixed well. 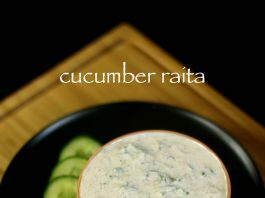 finally, serve the cucumber raita along with biryani or pulao. firstly, to prepare thick raita squeeze off the cucumber juice. furthermore, if the cucumbers are bitter then peel off the skin. additionally, for more flavours add mint paste. 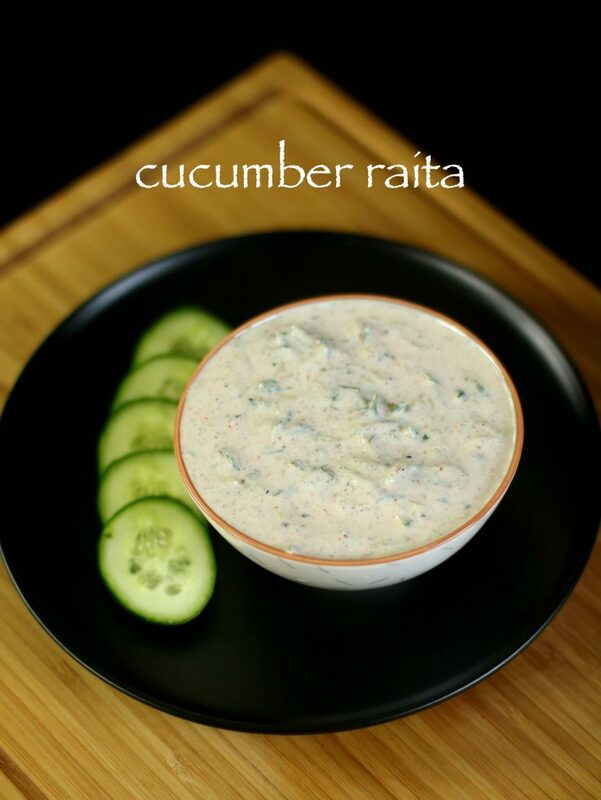 finally, cucumber raita taste great when prepared with fresh creamy curd. To remove the bitterness of the cucumber, before grating, cut about 1/4th inch of cucumber from the stem side and rub over the remaining big portion of the cucumber. You will see that froth is forming on the rubbed parts, it means the bitterness is no more. Hope you will try it out and communicate to me.